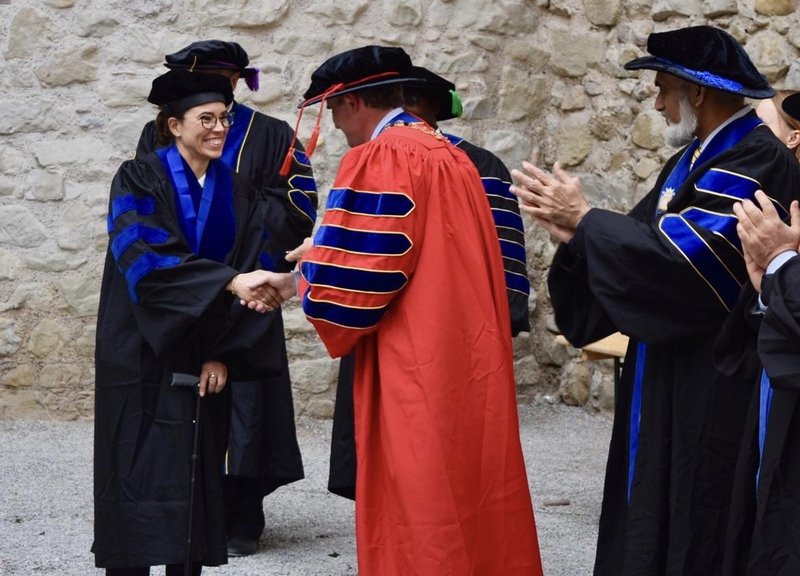 It is with great pleasure that Monarch Business School Switzerland announces that Dr. Ashley Robinson has graduated the PhD program with great distinction. 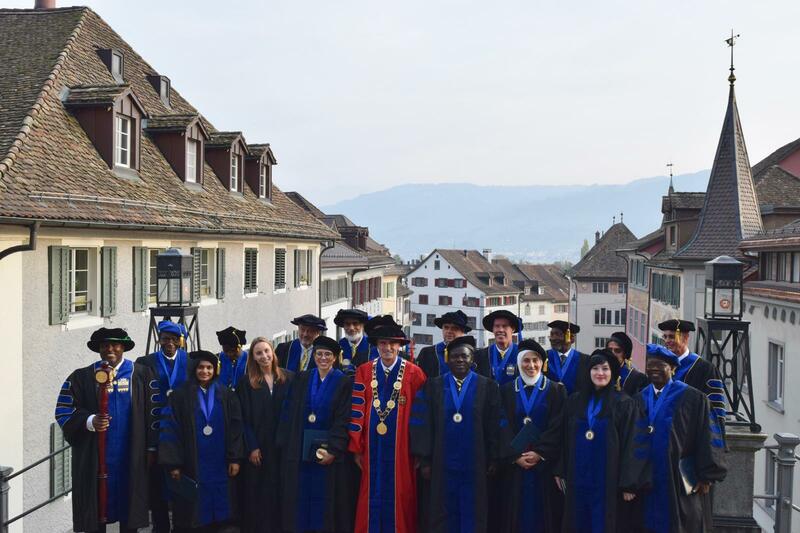 The announcement was recently made at the October convocation at the Rapperswil castle on Lake Zurich in Switzerland. Dr. Robinson’s dissertation focused on the relationship between global corporate culture and negotiation practices within the reinsurance industry. As a native Bermudian citizen working in the reinsurance industry the research topic is dear to her heart. Dr. Robinson’s work stands out as an example to all PhD candidates as to the high level of quality research that all may achieve when focus and determination are ever present. Dr. Robinson also received a special award from Dr. Henderson, Dean of the School, on behalf of the Faculty for her excellent work.